Product prices and availability are accurate as of 2019-04-19 11:55:22 BST and are subject to change. Any price and availability information displayed on http://www.amazon.com/ at the time of purchase will apply to the purchase of this product. Get Some Relief For Your Tennis Elbow Pain! 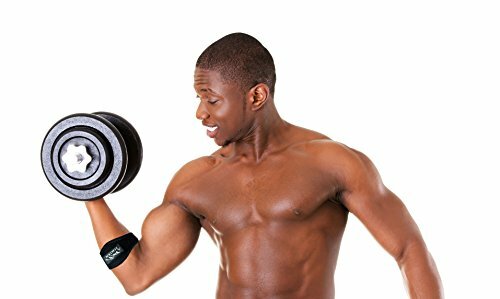 - Amazing armband for Crossfit, weightlifters, basketball, badminton, squash and racquetball players. - AMAZING VALUE - You can't find a better price for a high quality product! - EFFECTIVE - Protects your elbow and forearm from nagging pain.
? 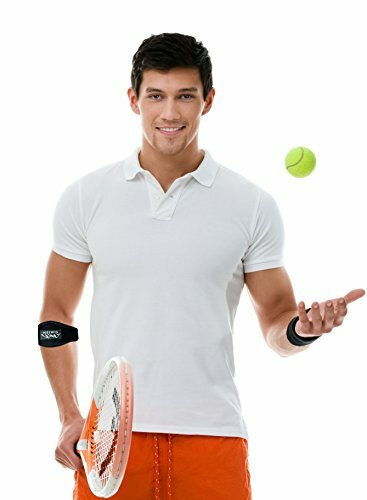 BONUS ITEM & FREE PRODUCT: You will receive a bonus sweat wristband with your order as well as an E-book entitled "Addressing Tennis Elbow Pain". 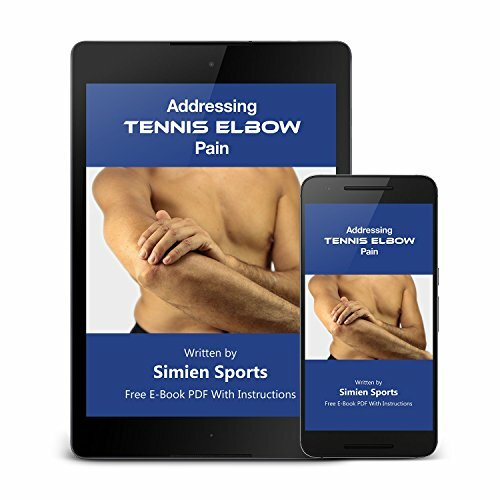 The E-book will give you INSTRUCTIONS on how to use our product, the tools and knowledge to address tennis elbow pain, including additional online resources such as exercises and therapies that have been shown to be helpful for tennis elbow sufferers. ? AMAZING VALUE: You get TWO elbow braces for a much lower price. Cannot compare with other brands: you will be getting two elbow braces, a sweat wristband and an E-book. 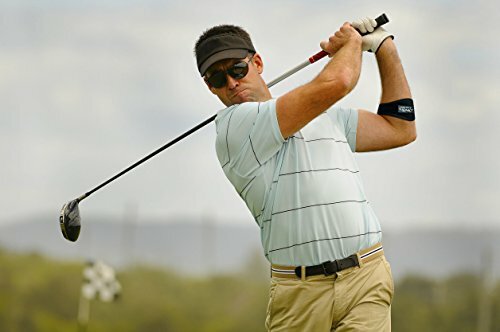 With a 2-count elbow brace, you can keep one in your gym or tennis bag and have another one at home or work for any repetitive motions that cause lateral epicondylitis, elbow tendonitis, carpal tunnel syndrome or arthritis pain. ? MUSCLE TISSUE & JOINT PAIN RELIEF: Can be used for tennis elbow, golfer's elbow, computer or mouse elbow, rower's elbow, fishing elbow, pool or billiard elbow. 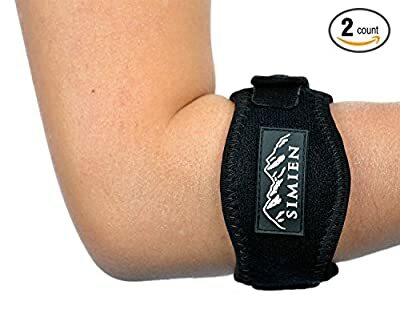 Can also be used as an armband for weightlifting, basketball or activities that could result in elbow hyperextension. This brace has a compression gel like pad that works better than air pads. 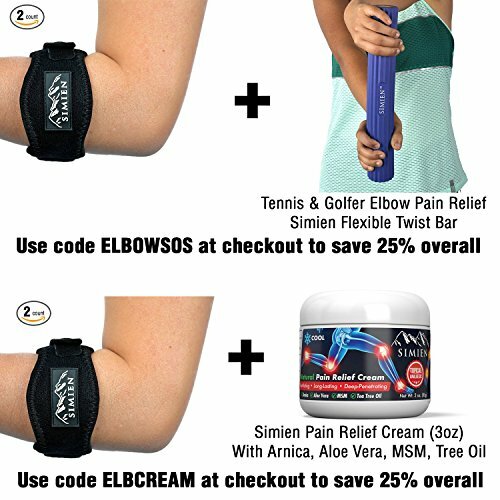 Get 25% off our Simien Rubber Twist Bar using ELBOWSOS promo code at checkout for tennis elbow therapy exercises when you buy the braces. ? VERSATILE: One size fits most and can be used on the left or right forearm. Can complement or replace elbow compression sleeves. Works great for women and men thanks to the adjustable strap. Fits almost all size or money back. This is a hook and loop strap and we guarantee that it will not cut off circulation or have a tourniquet effect on your forearm. ? HIGHEST QUALITY: 65% neoprene and 35% nylon (Logo is natural rubber or NOT LATEX FREE!). This is built to last and we guarantee that the strap will not wear out or tear apart for a lifetime or you will get your money back. You can keep your elbow braces (and bonuses) and we will refund you for your purchase. Click the ADD TO CART button to order our product at our LIMITED LOW PRICE.